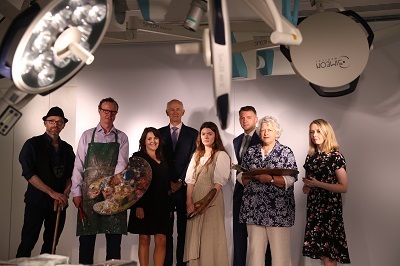 Today, RCSI, Accenture and Business to Arts announced the six artists commissioned to create a series of new portraits of historical female leaders in medicine at RCSI. Women on Walls at RCSI in partnership with Accenture will recognise the pioneering achievements of a group of extraordinary women and enhance the visibility of historical female leaders in healthcare. The new portraits will be hung in the Board Room of RCSI’s historic building on St. Stephen’s Green. In March 2018, artists were invited to submit a proposal to Business to Arts, project managers of the initiative. A selection committee identified six suitable artists to be commissioned. The group of artists will now work with RCSI archivists to further research their subjects and develop their concepts. It is anticipated that completed artworks will be unveiled in Spring 2019. RCSI is committed to promoting gender equality among staff and students for the advancement of the College’s mission to educate, nurture and discover for the benefit of human health. RCSI is a signatory of Athena Swan, a Charter that recognises and celebrates good practice towards the advancement of gender equality and enables representation, progression and success for all. Women on Walls is a campaign that seeks to make women leaders visible through a series of commissioned portraits that will create a lasting cultural legacy for Ireland. Accenture’s Women on Walls began in 2016 with the Royal Irish Academy. 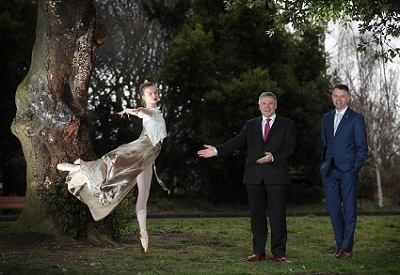 The 2018 Allianz Business to Arts Awards received a record number of entries in its 27th year, showcasing a diverse range of arts from visual art, architecture, literature, dance, theatre, design and music. The 2018 Allianz Business to Arts Awards will be presented on September 4th at the Bord Gáis Energy Theatre. The awards recognise businesses, artists and art organisations that develop creative partnerships. The shortlist shows collaboration between business and arts which takes place through sponsorship, staff engagement, commissioning, CSR initiatives or community engagement. Many of the collaborations are the result of long-term relationships. This year’s Allianz Business to Arts Awards saw high levels of entries from expanding sponsorship portfolios, increased regional activity and long-term partnerships, that continue to evolve through diverse activation campaigns. “In our special Business to Arts’ 30th anniversary year, we are inspired and motivated by the level of creativity, partnership and commitment those recognised on the shortlist display. Each year our Awards highlight the best examples of creative partnerships between the corporate and creative communities. We look to forward to celebrating these partnerships on September 4th as we mark our significant 30th Anniversary milestone with our partners, members and friends’. “As Business to Arts celebrates its 30th anniversary, we look back in pride at our association with the Allianz Business to Arts awards that showcase the best in collaboration between the Irish Artistic and Business communities. From an Allianz perspective, it has been very fulfilling to be able to help encourage and acknowledge partnerships that have and continue to deliver lasting value for our artists and for business. It has been our privilege to see the hugely positive impact such partnerships have on communities across the country and on our society at large”. The winners of the 2018 Allianz Business to Arts Awards will be announced on 4 September at the Bord Gáis Energy Theatre.